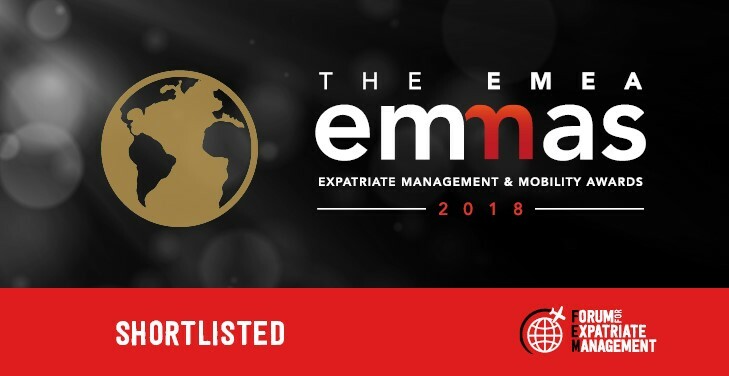 International AutoSource (IAS) has been shortlisted at the 2018 EMEA EMMAs (Employee Benefits Service Provider and Best Vendor Partnership with King and Mayr)! The Forum for Expatriate Management (FEM) recognizes the best and brightest in the global mobility industry. For seven consecutive years, the team at International AutoSource (IAS) is honored to be recognized by FEM, as an industry leader with outstanding services and rising stars. The awards ceremony will take place on November 9, 2018 at InterContinental London-The O2. IAS is the expatriate consumer division of OMSC, Overseas Military Sales Corp, the global distributor of vehicles to our Armed Forces, Diplomats and U.S. government employees for over 50 years. Our team roots are global and built from a passion to help serve those relocating abroad. Our expertise in the automotive industry has helped thousands of people relocating with their personal transportation needs. Together, we are the largest global distributor of vehicles in the world. As a newcomer to another country, known commonly as either an expat or expatriate, foreign national or executive, or permanent resident alien, we strive to make getting the vehicle you want for your global assignment as seamless as possible by providing outstanding service, value, and support. Each year, IAS places thousands of expats behind the wheel of their own vehicle. With over 50,000 customers and counting, IAS is the preferred global transportation provider, whether relocating to the Americas, APAC or EMEA. We know when relocating to another country an expat doesn’t always have the required local credit history or driving record to secure vehicle financing and insurance. Our direct manufacturer partnerships and privileged expatriate pricing programs make it possible for us to provide you with leasing, financing, and all-inclusive rental solutions with no local credit history or driving record. These unique partner programs also allow us to provide lease financing repatriation protection in case an expats assignment is cut short. Local dealerships simply cannot offer these expat-specialized deals. From the point of first contact to the day the vehicle is delivered, customers receive our award-winning concierge service from an expert consultant available to answer questions, provide updates, and ensure a seamless transition. Customers are provided assistance with financing and leasing documentation, and registration and licensing. Nothing speaks louder than our customer referral program, where hundreds of clients refer their expatriate peers to IAS. We’re proud to help these expats with one of their biggest purchases during relocation, and knowing they trust us with their family and friends is our best compliment. For more information about International AutoSource, contact us at intlauto@intlauto.com or +1 516. 496.1816.